We love that we've been spending lots of the time in the kitchen this week. 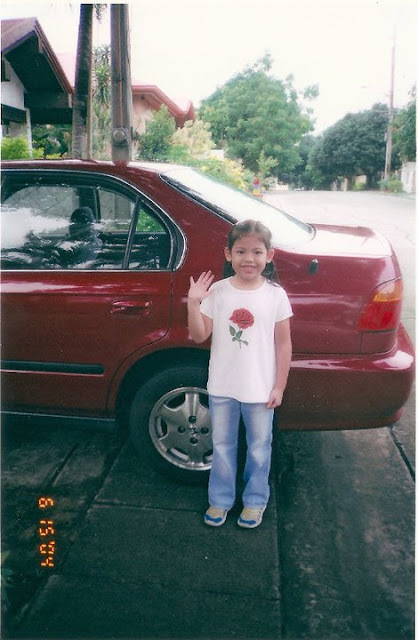 These past months have been awfully busy, most especially with Bianca's fully loaded college schedule. Breakfast is always rushed or on the go, and by the time we're both home for dinner, we just want to get it over with so we can turn in for the night or in her case, do homework. I'm so grateful for this short break we're having now to bond over food and cooking at home. We actually argue a lot when we're in the kitchen about how certain things should be done. But it's all in good fun and we always have a good laugh about it afterwards! Cut in butter and vegetable shortening into flour using a pastry blender or two knives until mixture resembles a coarse meal. Sprinkle cold water all at once over mixture and stir to blend until pastry is moist enough to hold together. Gather with hand and shape into a ball. Flatten into a disc and wrap with plastic wrap, chill in the refrigerator for at least 30 minutes. Preheat oven to 400 F degrees. 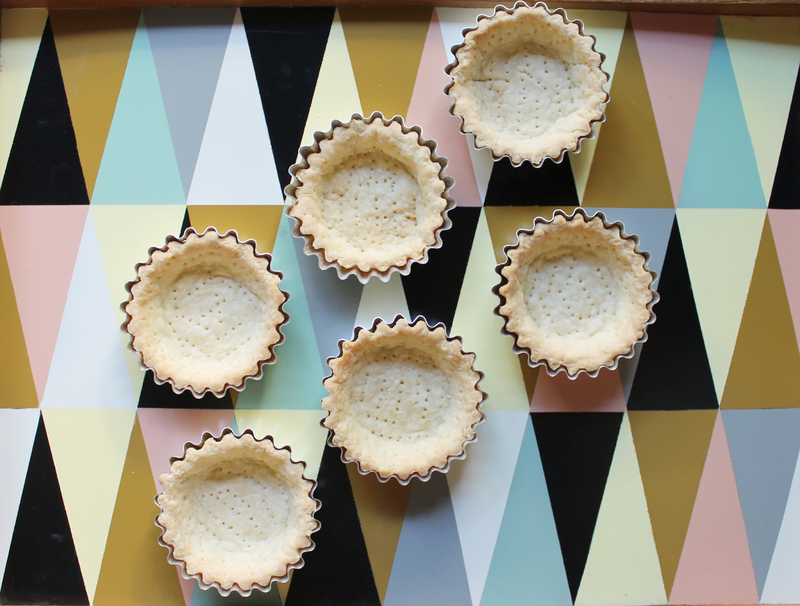 Roll out chilled dough and press evenly into mini tart pans. Prick the bottoms with a fork, then lay a piece of parchment paper on each tart and put in dried beans as weights. 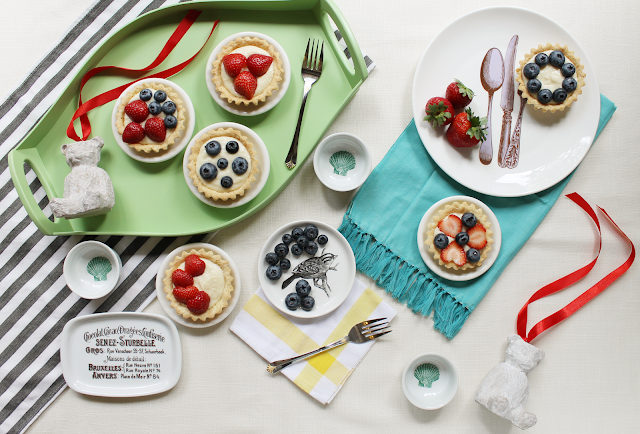 Place pie tarts on a cookie sheet and bake for 15 minutes. Take out the paper with pie weights and return to oven for another 10 minutes, until golden brown. Cool crust completely. In a medium sized, heatproof bowl, mix egg yolks, sugar together. Add in flour and cornstarch, mixing until you get a thick,smooth paste. Heat milk in a saucepan until almost boiling, just until you start to see wisps of steam. Remove from heat. Slowly pour a little of the hot milk into the egg mixture and whisk to combine. Continue pouring the milk in a thin stream into the eggs, whisking continuously. When all the milk have been added to the mixture, pour everything back in the saucepan. Set the pan back to medium heat and cook until boiling, whisking constantly to prevent curdling. As soon as mixture thickens to a pudding like consistency, whisk for a few more seconds then immediately remove from heat. Stir in vanilla extract. Pour pastry cream into a bowl and cover with plastic wrap pressed right up against the surface of the cream.This will prevent the cream from forming a skin. Cool completely to room temperature then chill for at least 1 hour before using. Pastry cream will keep for about 3 days in refrigerator. 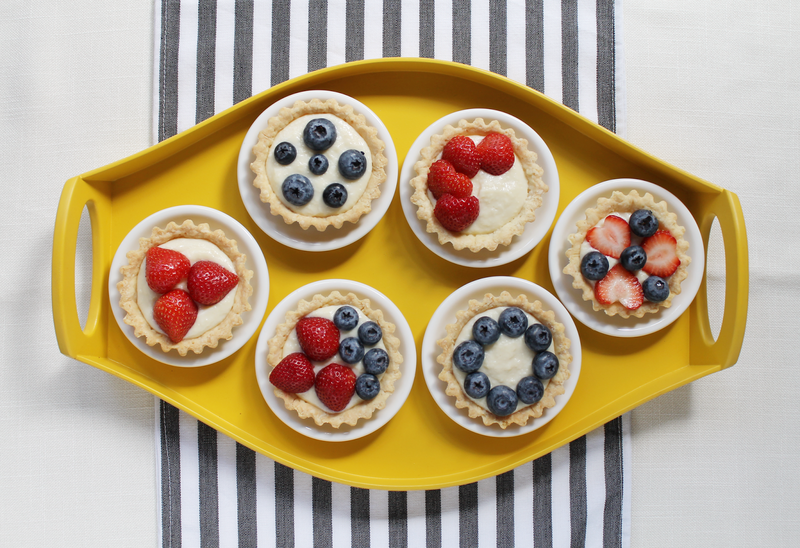 To assemble, fill tarts with cream and top with berries or fresh fruits of choice. Gently brush with apricot jam if desired. Nothing inspires us to cook and to be more creative in the kitchen more than new tableware and props to play around with. We all "eat with our eyes" first, and our initial visual impression of food most certainly affects our sense of taste. So, no matter how simple a dish may be, we always find ways to serve it as appetizing and inviting as possible. Many thanks again to Bungalow 300 for helping us create our colorful and fun kitchen story for today! *tart shells were specially made for us by Arleen Sevilla-Agustin. Do check out her custom, made-to-order cakes, cupcakes and cookies at Arleen's Sweet Art. Baked eggs are great for brunch, and when served with a salad of leafy greens and some warm crusty bread, it's satisfying enough to double as dinner. 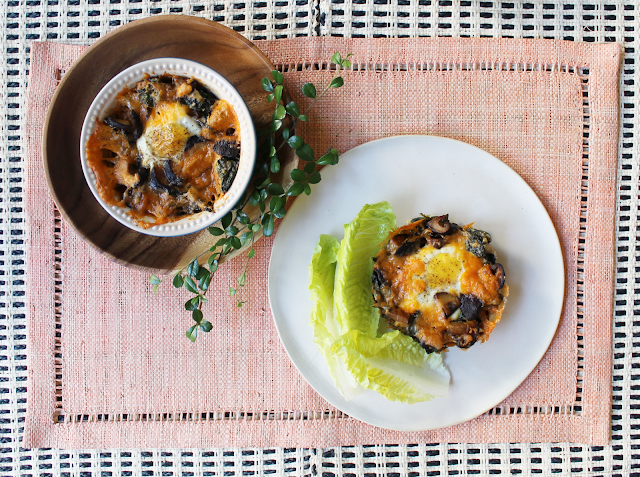 They're cooked in individual ramekins so they're easy enough to be multiplied for a crowd. So perfect for entertaining! They can be dressed up in so many ways, with a lot of delicious flavor combinations. You can add bacon, sausages, cheese, tomatoes, potatoes and even quinoa, then just leave in the oven to cook! Cut off thick stems from spinach and discard. Clean spinach leaves by soaking in a large bowl or basin with water to loosen any sand or dirt. Drain, then repeat soaking and draining until clean. Transfer directly to a heavy skillet set over medium-low heat, no need to dry. Cook spinach leaves, turning with tongs, until wilted about 30 seconds. Set aside. Wipe skillet dry, then melt butter on medium heat. Cook onions and garlic until softened, about 2 to 3 minutes. Add sliced mushrooms and increase the heat to medium-high. Cook, stirring until mushrooms have softened and released liquid. Continue cooking until all the liquid has evaporated. This should take about 8 minutes. Stir in the heavy cream, Parmesan cheese, cooked spinach and season with salt and pepper to taste. Remove skillet from heat and allow mixture to cool. Brush 6 ramekins or oven-safe bowls with a little butter. Fill each with spinach and mushrooms. Create wells or indentations by pushing the filling to the sides of the bowl, large enough to fit an egg. Crack 1 egg into each well and cook in oven until whites are firm and yolks are still runny, about 15-18 minutes. I know we've been away for quite some time, but one look at these pretty tableware from furniture and home store, Bungalow 300 was enough to lure us back into the kitchen to start cooking again! View their Holiday Gift Catalogue here or catch their pop up store for beautiful gift ideas at the Corte de las Palmas in Alabang Town Center from November 20 to 25. Hello! I'm back. And hopefully, for good this time. 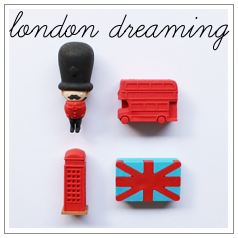 I have been missing in action on the blog for most of the summer. I wrote in a post earlier that the summer heat was difficult for me, and I'm just so glad that it's finally over! Having Parkinson's Disease, my body is always in motion. From fine hand tremors to bouts of whole body shaking, I'm constantly moving and breaking into a sweat, so the escalating temperatures were just too much for me to bear. I lost my appetite to eat, and had little energy to do anything. I reserved my time for family, house chores (because they need to get done even if you don't want to) and for taking care of myself. It took a lot for someone to coax me to get out of the house. It was just too much trouble for me to get ready and dress up. I was thankful when the heat started letting up in June. I had so many plans and a long to-do list that I put on hold and was eager to get a move on. I was already getting stressed and frustrated because I wanted to accomplish so many things. But, by some twist of fate, a much needed house repair which included a re-piping of our water lines (sigh and double sigh) needed my attention and supervision. Just looking at the chaos of construction materials, the diggings around the house, the dust and the whole mess of it all just made me sick all over again. Everyday, I would summon positive thoughts to reassure myself that after the repairs were done, everything will be beautiful and in order. At the tail end of all this, my sister, who helps take care of me and who is in charge of preparing our meals, was leaving for a two week trip abroad, so I had to prepare myself physically and mentally to manage the household alone. And, yes, finally, all is quiet and back to normal in the house again, except for some bit of tidying up in the living room, which I will get to as soon as I catch my breath. Bianca's well into her first two weeks as a college freshman, and in between house repairs and what seemed liked a mad dash to get her ready with everything she needed for school, I had no time to feel sentimental that my one and only child was beginning what will be the last chapter in her life as a student. More on that soon. Bianca on her first day in grade school. Where did time go? I must admit that it took some time to get my groove back into blogging and writing again. It's always a challenge whenever you stop and re-start something. But although I was away from the blog these past months, my mind was constantly composing sentences and paragraphs for stories I wanted to share. I am very proud of myself that I was able to get through this very long hot summer, and more importantly, that I managed not to set the house on fire while the sister was away! It might seem trivial, but for someone who has limited mobility and compromised cognitive functions, it's an accomplishment. 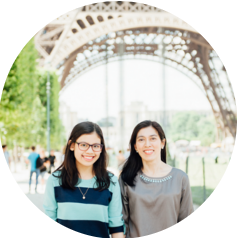 I always say that I started this blog as a journal for Bianca and I to look back on. It is and will always be our happy place and I'm pretty sure I will be glad that I wrote this post when I come across it years from now. Thank you for taking good care of me this summer. I know it was hard sometimes because I was short tempered due to stress. I will always be grateful for your patience and kindness. I love you! We might not have accomplished our goal to get to London for your 17th birthday. It seemed like we were getting closer and then suddenly further from our dream. But you know I never give up. We shouldn't give up. I am positive that it will all happen in good time.....because all good things take time. Well, hello there! 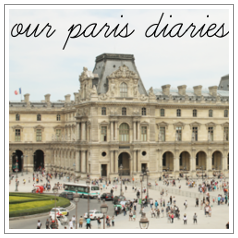 I'm so sorry we've been so quiet here on the blog. This summer heat has been particularly difficult for me, leaving me feeling sick and weak with little energy to do anything. All I wanted to do was stay in a cool, air conditioned space and never leave. But, life must go on and I'm relieved that the heat is slowly letting up and we're finally experiencing occasional rain. I've put Bianca in charge of our Instagram and Facebook page, and we hope you've been following and enjoying all the photos and updates she's been posting. I'm slowly getting back into the kitchen - I've missed cooking and sharing our recipes with you! Here's one we made last week. It's quite simple, and you won't break a sweat, we promise! Do try it out soon! Core and slice apples into thin wedges and toss in a bowl with brown sugar, set aside. Put a non stick grill pan over medium heat, add sausages and cook until nice and brown, turning occasionally about 5 minutes. When sausages are cooked through, remove from heat and set aside. Warm butter in a skillet, then stir in apples with brown sugar. Cook, stirring gently until caramelized, with still a little bit of crunch to it. 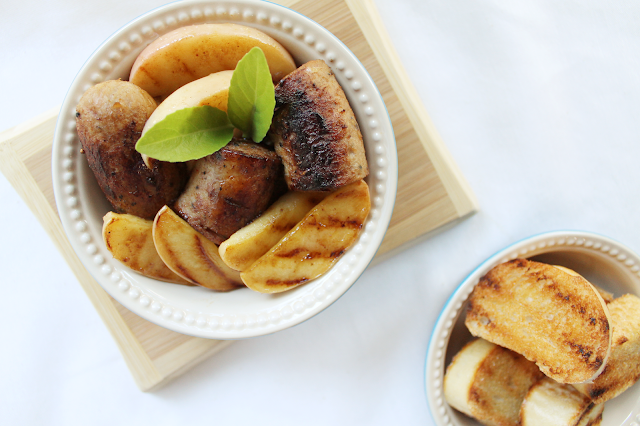 Slice sausages as desired and mix in pan with apples. Serve with crusty bread or mashed potatoes. My love for stories started when I was in my mom's womb and she would read to me, and reading continues to be a huge part of my life. When I was younger, I had a book club with my neighbors and friends. That really encouraged me to read regularly. Books can transport you to different worlds, help you realize truths about living and following your dreams, and really good books can change your perspective and stay with you forever. These are a few of my childhood favorites, that, in my opinion, are timeless. I hope you get the chance to pick up some of these books - though they are written for children, I think that everyone can enjoy them! Happy reading! 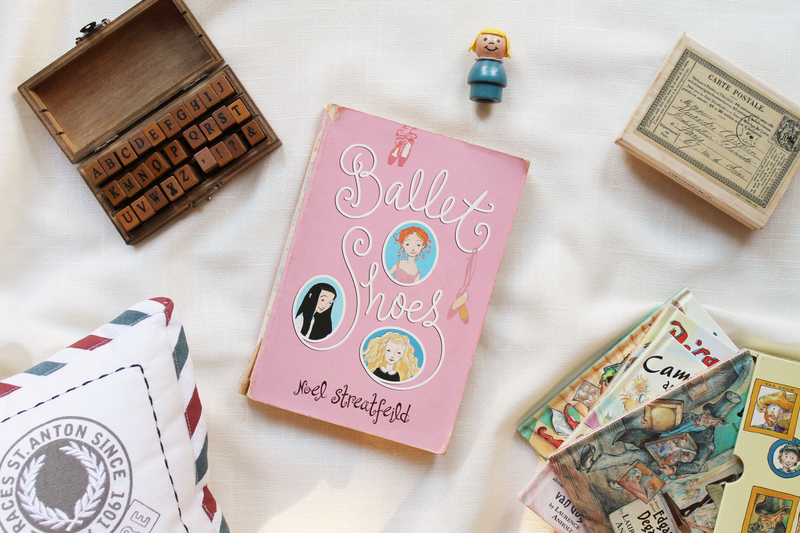 Ballet Shoes by Noel Streatfeild: Ballet Shoes is a story following three adopted girls who launch themselves into performing arts to support their poor family. It's taught me loads of lessons about growing up and balancing studying with my other responsibilities and interests. It was first published in 1936, a completely different era to the one we live in right now, but I quickly fell in love with it when I was just six years old - it was the very first book I read for my book club. It's both humorous and moving, and I'm pretty sure I've flipped through this tattered copy over a hundred times...this is a book I'd recommend to everyone! Cornelia and the Audacious Escapades of the Somerset Sisters by Lesley M.M. Blume: When Virginia Somerset moves into the apartment next to eleven-year-old Cornelia Englehart, Cornelia becomes fascinated with the older woman's stories about her adventures all over the world. I love this book because it fueled my love for traveling and seeing new places - and it was the first time I had ever come across the word 'audacious!' At its simplest, it's a tale about love, friendship, and crazy wonderful adventures. It's definitely a timeless story to me. 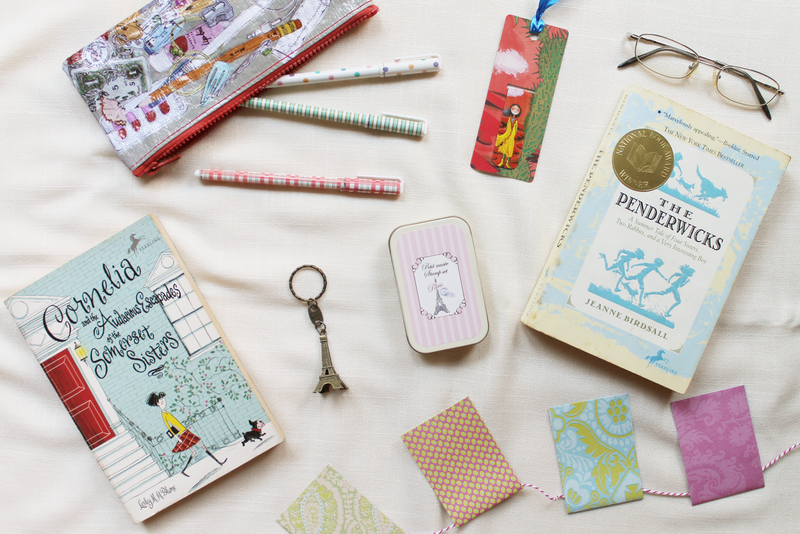 The Penderwicks by Jeanne Birdsall: One of the most charming stories I've ever read! This is the story of the Penderwick sisters' summer vacation in a rented cottage behind the sprawling Arundel Hall estate. These were girls that I immediately considered my friends, and as I continued on reading I naturally identified with them. It's been said before, but reading this book is like the literary equivalent of a summer day - easy-breezy, memorable, and laugh-out-loud funny. 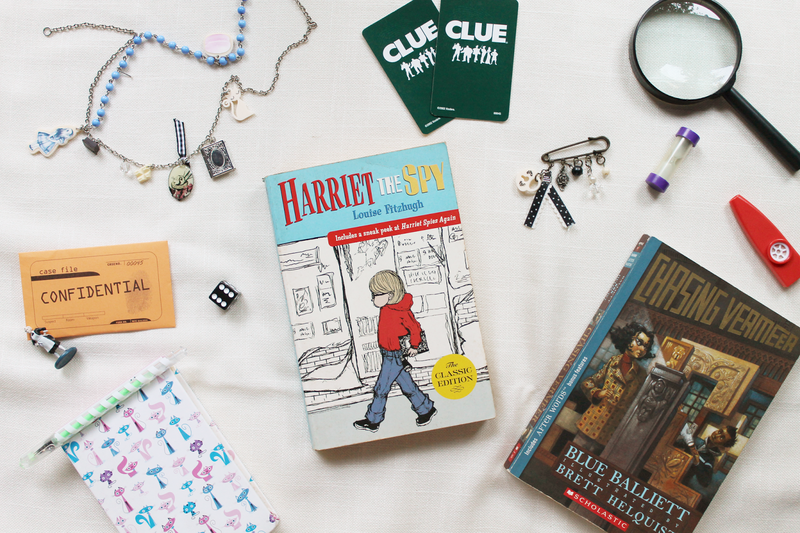 Harriet the Spy by Louise Fitzhugh: O.K, so this book might've guided me into my most annoying phase as a tween - keeping a confidential spy notebook and writing down my inner ramblings as well as what I really thought about everyone I knew - but it taught me to be curious, and it taught me that it's okay to be myself, and it's okay to have bad days. Harriet is just a kid trying to figure herself out, and this book deals with rejection and loss. But it's also ridiculously hilarious and optimistic. 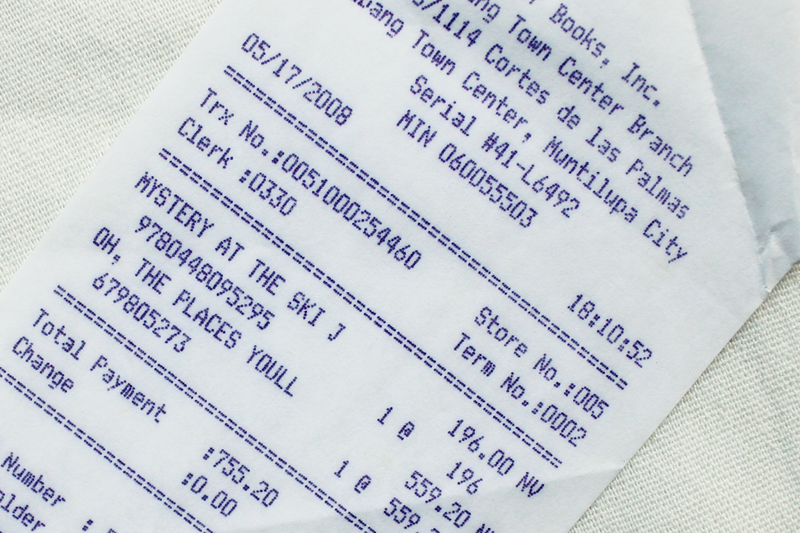 Chasing Vermeer by Blue Balliett: I've always been intrigued by mystery and suspense novels. It's a challenge to bury clues within text without giving the entire plot away. As young Petra Andalee and Calder Pillay solve the case of a stolen Vermeer painting, they uncover a chain of events intertwined with real-life art history. This book really makes you think and read between the lines. Plus, the illustrations are amazing! I am sure all parents feel an overwhelming sense of pride for every accomplishment and milestone our children go through. When I became a mom, I wholeheartedly embraced the joy and the responsibility of raising my daughter whose life I was entrusted with. I changed from dreaming for myself to dreaming for us both and visualizing a happy, fulfilled life for my daughter and myself. 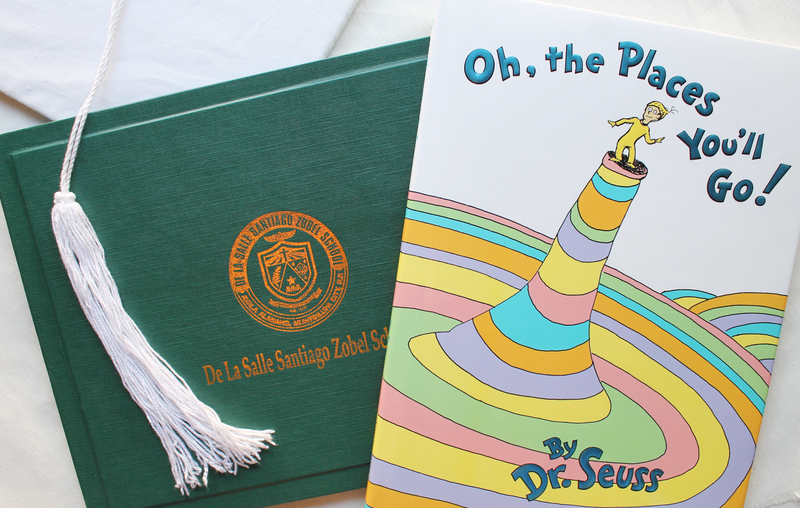 Bianca recently graduated from high school, and in the morning of her graduation day I gifted her with this Dr. Seuss book which I bought way back in 2008. I meant to give it to her when she graduated from college, but I know in my heart that she is already going places and the timing couldn't be more perfect. 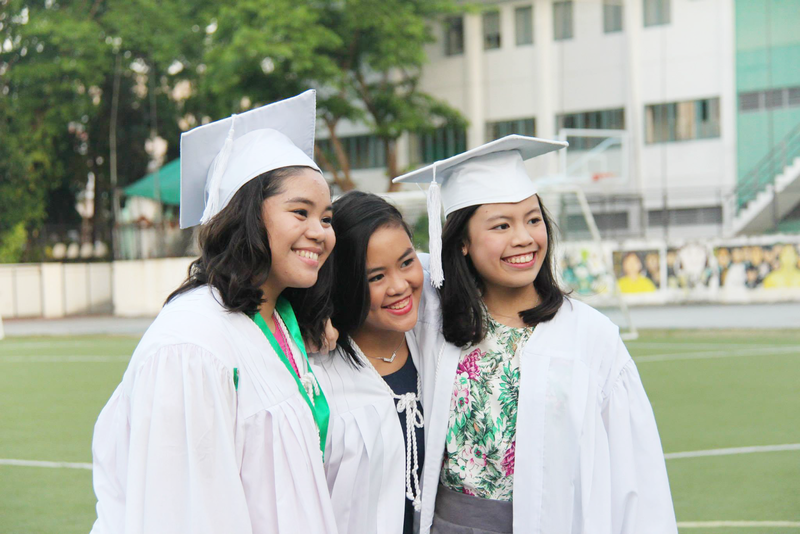 When I saw her go up on stage to receive her diploma, I was bursting with so much pride and joy. She's always been self motivated and responsible and never once gave me any reason to doubt that she can accomplish all that she is set out to achieve. Congratulations! I am so proud of you. My only wish for you is to be happy. Continue to dream big. Do not fear the future, because I always have your back. I am your biggest fan and supporter and I am with you through thick and thin. With traveling comes the challenge of packing your stuff. I hate feeling like I forgot something, so I tend to over-pack. I've learned the hard way that bringing way too much stuff is never a good thing. The best choice is to bring a lot of versatile pieces that can take you from day to night - I especially love this striped dress which I think can be dressy or casual. Plus, it's easy to layer on a coat or a pair of tights (or both!) if it gets chilly. Being away from home means your skin gets really confused and can break out or get super dry. Mom has been a loyal Clinique user ever since she was a teen and she passed on the good stuff to me. We both have sensitive skin and this brand is honestly the only thing that works for us! Traveling is one of our goals for the summer. We're keeping positive and we're hoping to experience new things and see lots of new places! She Said: Calamansi or Philippine lime can be used in a variety of dishes, both savory and sweet. I like using it in marinades for meat or as a dipping sauce for grilled fish. It's actually my first time to use calamansi juice in baking. 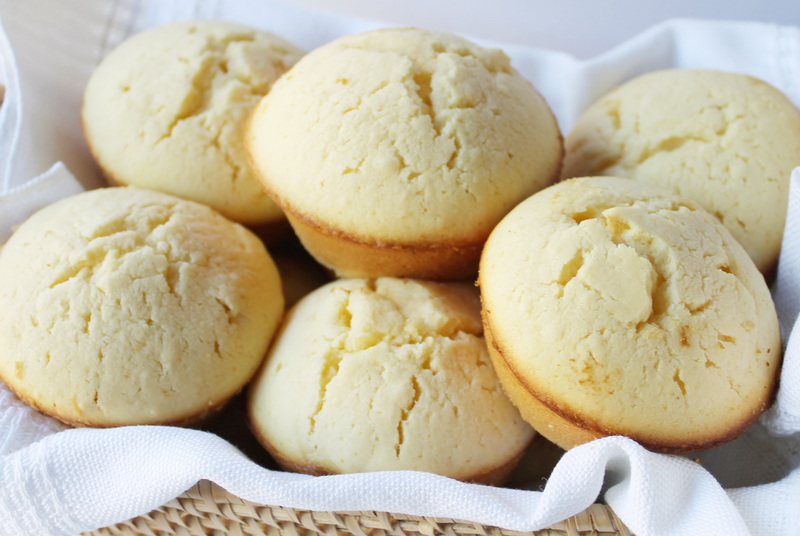 These sweet and tart muffins turned out delicious, I'm already looking up other calamansi dessert recipes to try out! she said: I've been taking advantage of my summer vacation to catch up on some sleep. On most mornings, I'm up late so I generally miss breakfast time. Good thing the English invented brunch! I love "brunching" with mom. 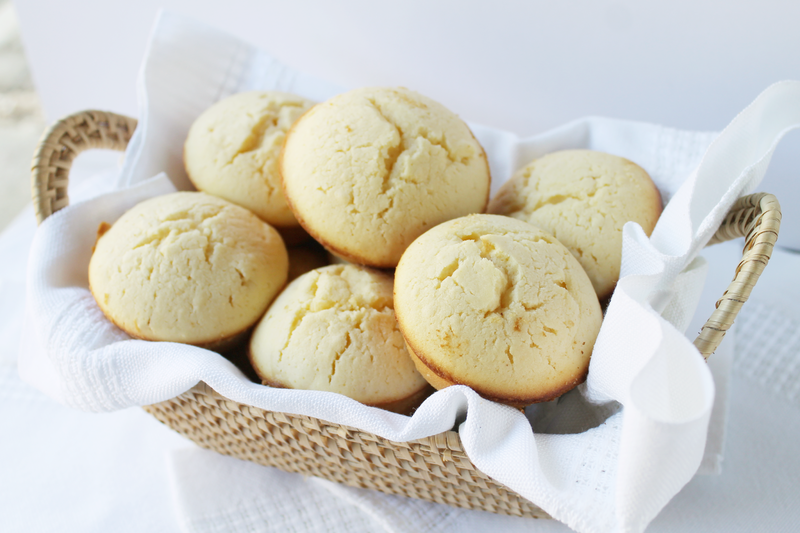 These buttery muffins are just perfect when they're hot from the oven. Now I'm ready for some bacon and eggs. Yum! Preheat oven to 350F. Using a pastry brush, coat muffin pan with butter. 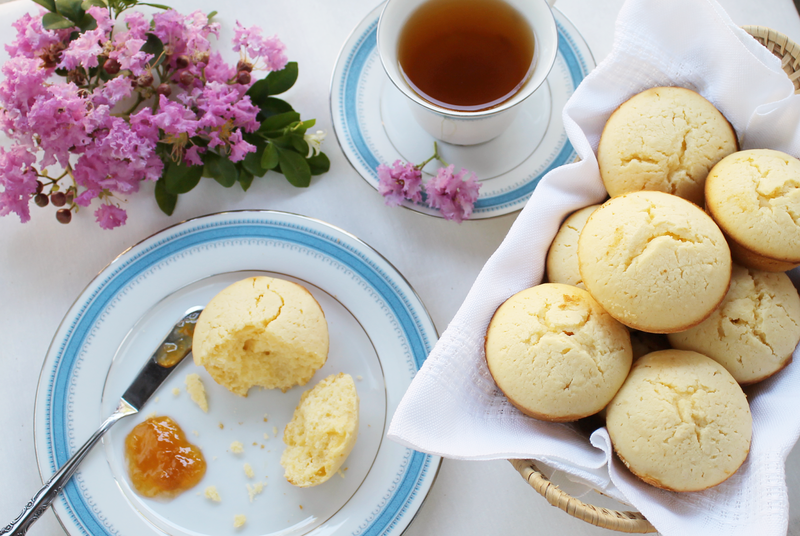 This recipe makes 8 to 10 muffins depending on the size of your pan. 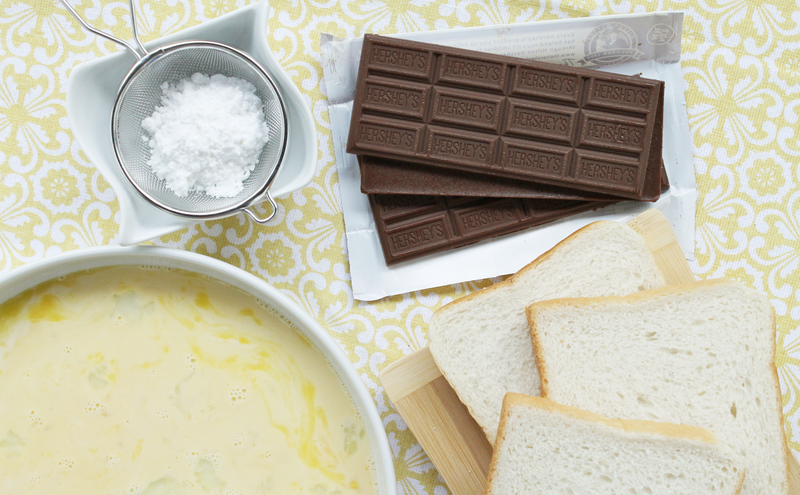 In a bowl, beat the butter with an electric mixer on medium speed until light and creamy. Add in the sugar and continue to mix. Add eggs one at a time, beating well after each addition. Combine calamansi juice and the milk- it will look curdled, but rest assured that it's alright. With the mixer on low speed, add the flour mixture in three batches, alternating with two additions of the calamansi mixture. Spoon the batter into prepared muffin pan, filling each cup about 3/4 full. Bake until a toothpick inserted in center comes out clean, 20 to 25 minutes. Serve warm. Cooking during the summer can be a bit of a challenge. With the rising temperatures and the sweltering heat that is upon us right now, we all want to spend less time in the kitchen and get dinner to the table as quickly as possible. Summertime meal preparation is all about fast, easy methods and with a little bit of planning, you can serve up an uncomplicated meal that's both satisfying and delicious. This recipe calls for grilled chicken which you can prepare and cook in advance. 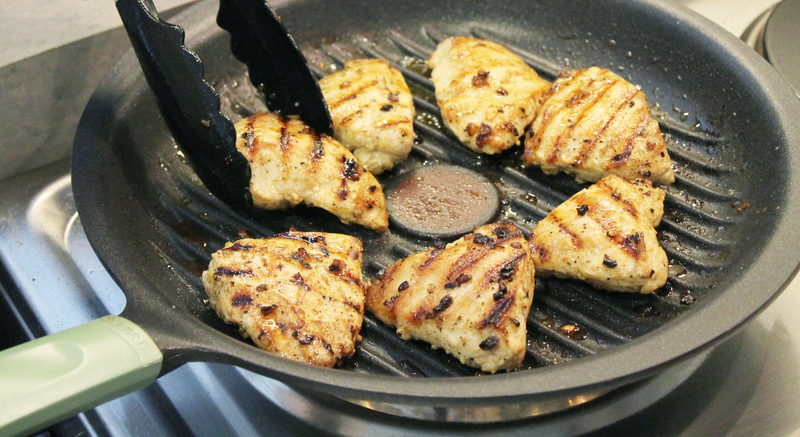 She Said: One of our favorite things to make at home is grilled chicken fillets. We often cook more than what a recipe calls for and keep the rest for future meals. They keep well in the freezer! Just thaw and reheat to mix with salads, pasta dishes and as filling for sandwiches. she said: To prepare the chicken, simply brush with a little olive oil, season with salt, pepper and garlic powder. Cook over a charcoal grill or grill pan, about 5 minutes per side. 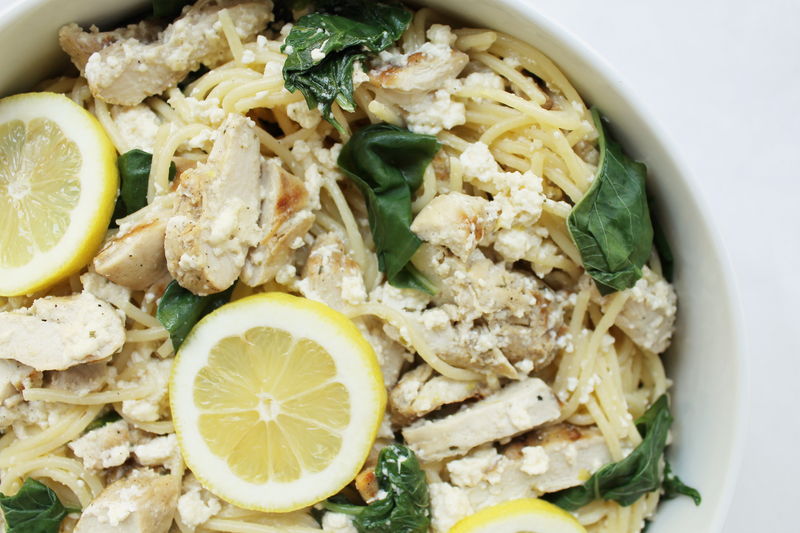 We hope you get to try this creamy, cheesy pasta recipe with a zesty lemon flavor! 1. Cut off the thick stems of the spinach and discard. Clean by filling a large bowl with water and soaking the spinach to loosen any dirt or sand. Drain the water and rinse the leaves, then repeat soaking and draining process once more. Set aside. 2. Cook pasta in salted water according to package directions, reserve 1 cup pasta water before draining. 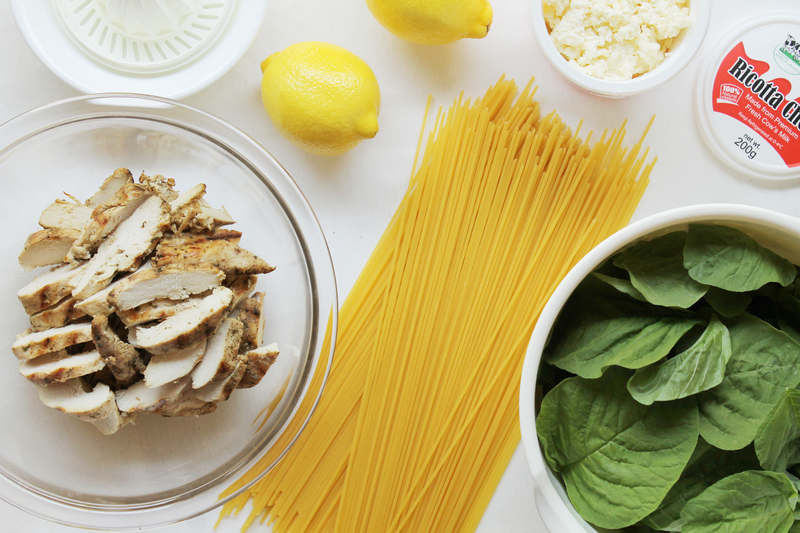 Place washed spinach in the bottom of a colander then pour out the pasta to drain. The boiling hot pasta water will cook the spinach until just wilted. 3. Return pasta and spinach into pot and set over medium heat. Add 1/2 cup pasta water, olive oil, ricotta, parmesan, lemon zest, lemon juice and toss to coat until ricotta is heated through. Add in more pasta water if needed, season with salt and pepper. Add in sliced chicken. Serve warm topped with more parmesan if desired. 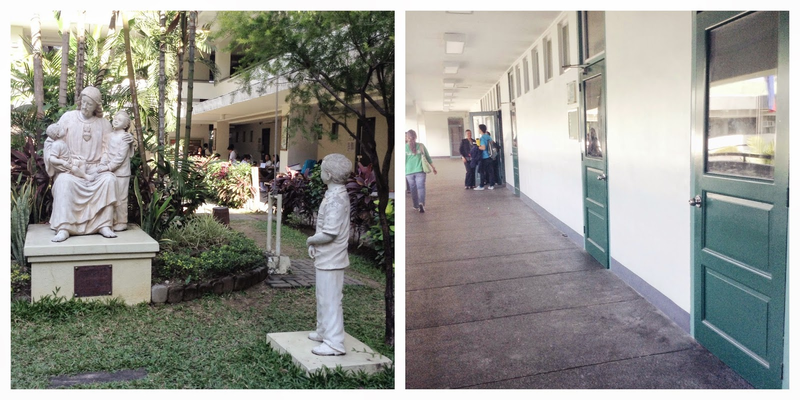 I'm definitely gonna miss the spots my friends and I used to hang out in, and how going to school every day had a certain familiarity to it. And I'm really going to miss having hot lunch sent to me every day. Shoutout to you, mom: You the best! 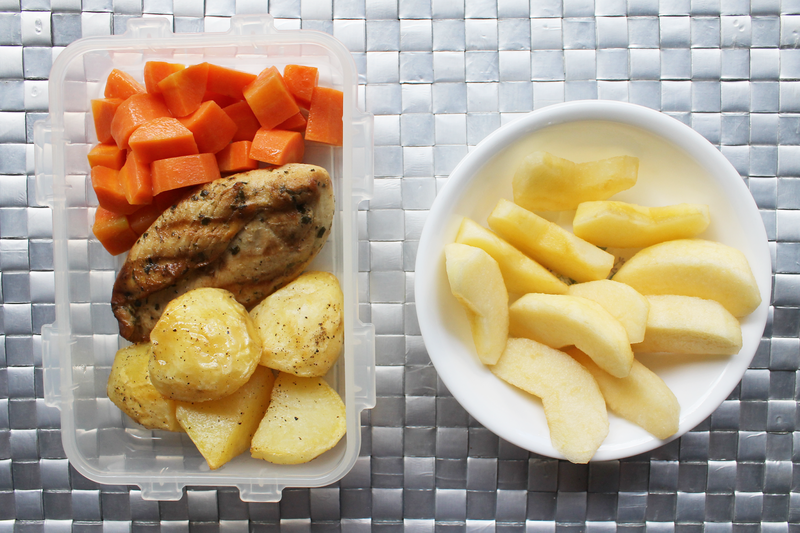 Here's what my last lunch looked like - my favorite grilled chicken, roast potatoes, carrots and apples. My mom always cuts up my food (because in my mom's eyes, I'll always be her baby) and makes sure I have fresh fruit to munch on, too. 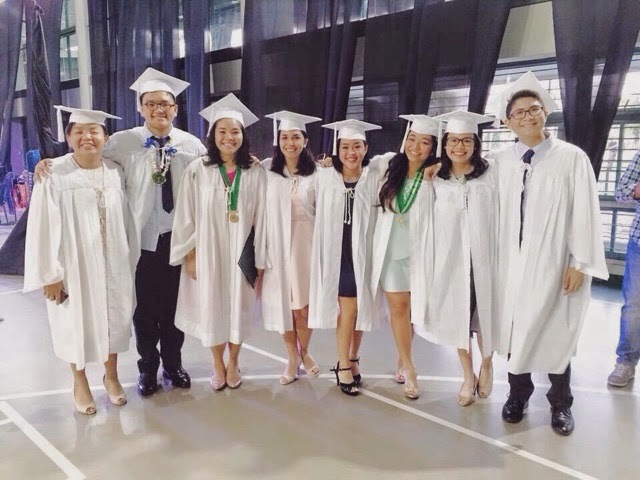 I will always be grateful for the friends I made and for the support system I had. There were days where I had work piled up in front of me and I just wasn't feeling up to it, and days where I accomplished a lot and felt really good about myself. Then there were those days when I couldn't stop crying, but there were also lots of days where I couldn't stop laughing. Through all these moments, I will always remember how my friends and family stood by me and taught me what it really means to be there for someone. Here's a light and easy fish recipe for those meatless Fridays of Lent. 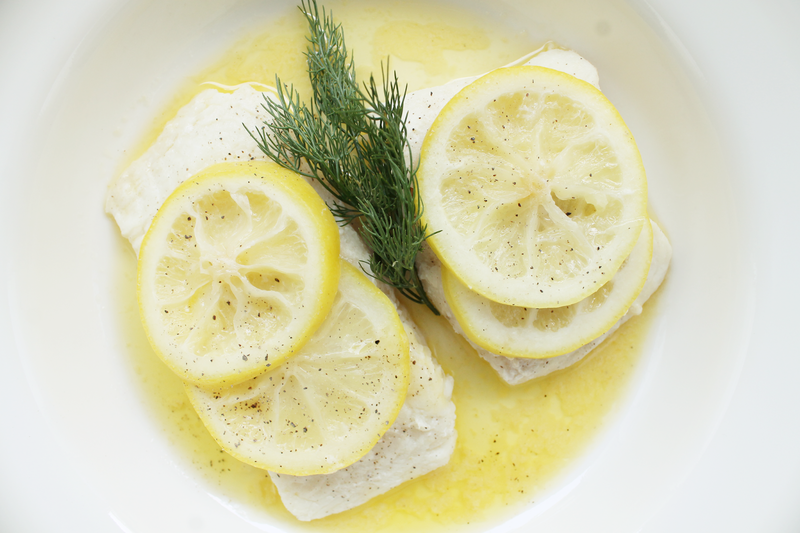 The addition of lemon slices during cooking helps keep the fish moist and flavorful. A simple sauce made with a combination of white wine, butter and lemon juice is the perfect compliment for this dish. 1. Pour white wine in a large lidded skillet. Slice each sole fillet into 3 smaller pieces. Season with salt and pepper and arrange in the skillet. Lay two overlapping lemon slices on each piece of fish. 2. Bring the wine to a boil; reduce heat to medium low. Cover skillet with lid and simmer gently until the fish is opaque through-out, about 3-5 minutes. With a spatula, carefully transfer fish to serving plates. 3. Return the liquid in the skillet to a boil and cook until reduced to 1/2 cup. Remove from heat, then whisk in lemon juice and butter until smooth. Season with salt; strain if desired. 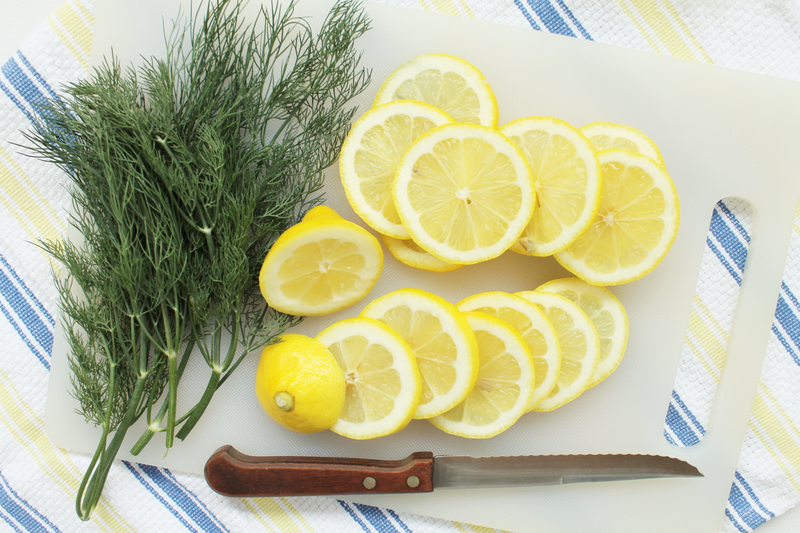 Serve with the fish and garnish with fresh dill and freshly ground black pepper. 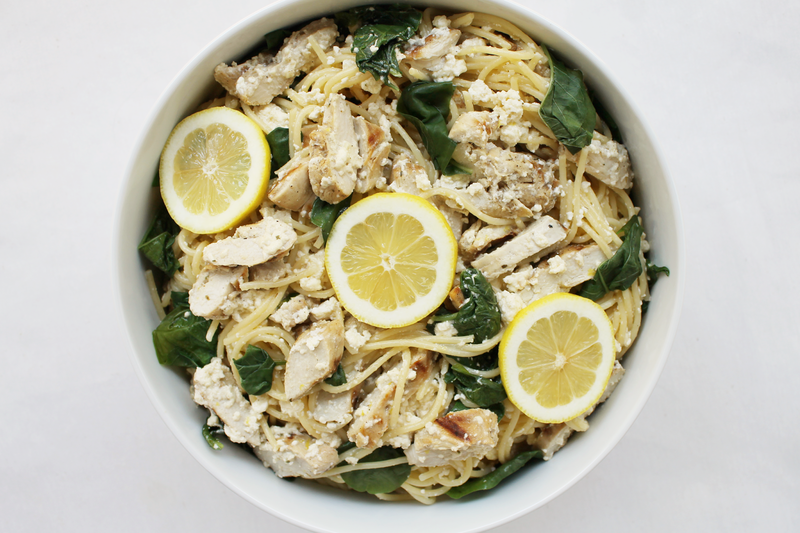 She Said: I love lemons and can't help but add a squeeze of lemon juice to just about everything! I have also taken up the habit of drinking warm lemon water in the morning, so you can be sure to find a regular supply of this tangy, sour and fresh smelling citrus in our kitchen. We've been cooking a lot of chicken dishes lately, particularly white chicken meat, which has a little less fat and fewer calories compared to dark meat. We are really trying our best to make healthier choices when it comes to our meals. Chicken breast meat has more protein and less cholesterol, so it's the better choice. We like adding it to our salads, or serving it with some roasted or steamed vegetables and we look forward to sharing our chicken recipes with you! She Said: Our New Year's resolution to eat healthier meals has been going well so far. We've been eating more fruits and vegetables and we're slowly choosing lean meats over fatty cuts. she said: Now, we only hope to be successful when it comes to desserts! We both have a weakness for all things sweet and can't resist chocolates, cakes and cookies, but we're really trying our best most especially for the Lenten season. 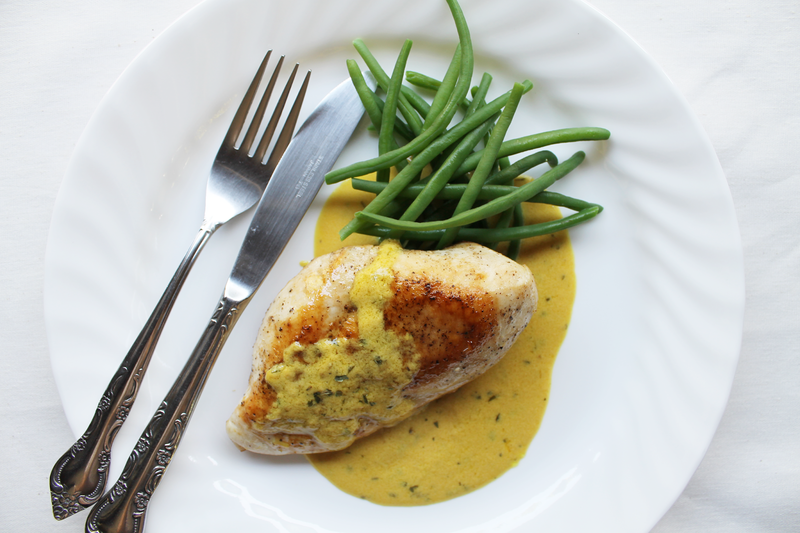 This recipe calls for skinless chicken breast fillets. 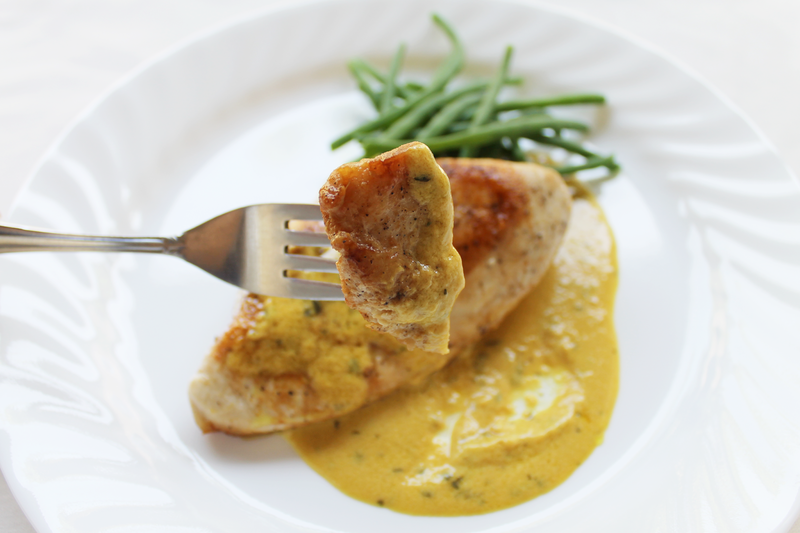 The accompanying sauce is a French classic, made with mustard and heavy cream which you can substitute with milk or even plain yogurt. It makes a perfect sauce for pan seared fish and as topping for pork tenderloin too. Serve this with some steamed string beans and rice on the side and you've got yourself the perfect lunch. Enjoy! 1. In a medium frying pan, heat oil over moderate heat. Season chicken with salt and pepper and add to pan. Saute until cooked through, about 10 minutes, turning once. Transfer to a plate and keep warm. 2. Pour chicken broth into the hot pan, cook stirring until broth is reduced in half. Whisk in cream yogurt, mustard and tarragon. Cook whisking until thickened, about 2 minutes. 3. Pour in any accumulated chicken juices into the sauce and mix until combined. Drizzle the sauce over the chicken and serve with steamed French string beans and rice. The classic grilled cheese sandwich is our go to for a quick and easy lunch or snack. We often make it at home with different kinds of cheeses and bread. This chocolate variation is a new favorite of ours. You can serve this as dessert after a light meal. So, so very delicious and scrumptious! We hope you get to try it out. Summer will be soon upon us, and as the heat becomes unbearable in the coming months ahead, we're planning on spending less time in the kitchen by preparing meals that are quick, easy and hassle free. 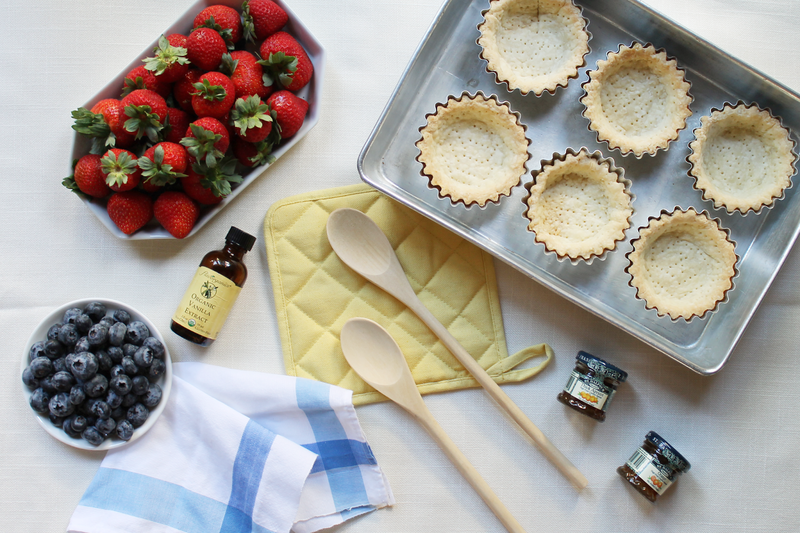 Stay tuned for our Kitchen Stories: Summer Edition! 1. In a large, shallow dish, whisk together eggs and milk. Set aside. 2. Form two sandwiches with the bread and chocolate. 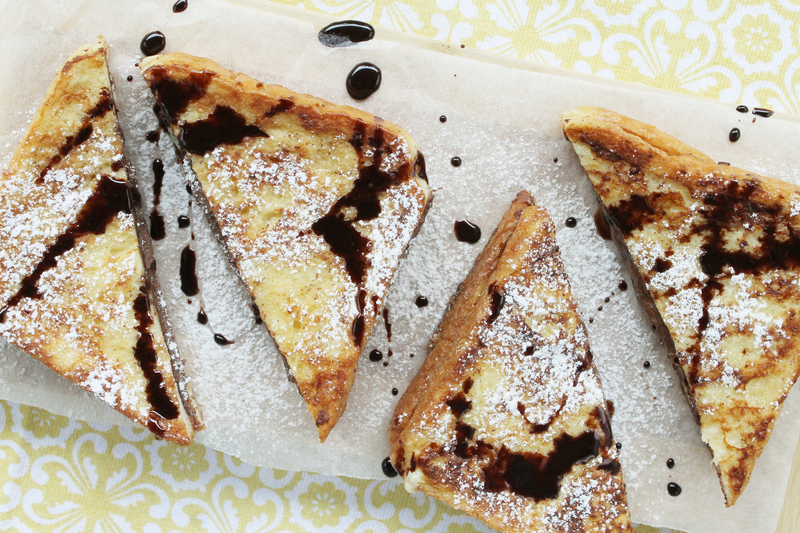 Break the chocolate as necessary to cover the bread without extending over the edges. 3. Dip both sides of the sandwiches in the egg mixture to coat. 4. Heat butter in a large skillet over medium heat. Transfer sandwiches to skillet and cook until golden, about 1 to 2 minutes per side. 5. Transfer to a paper towel lined plate. 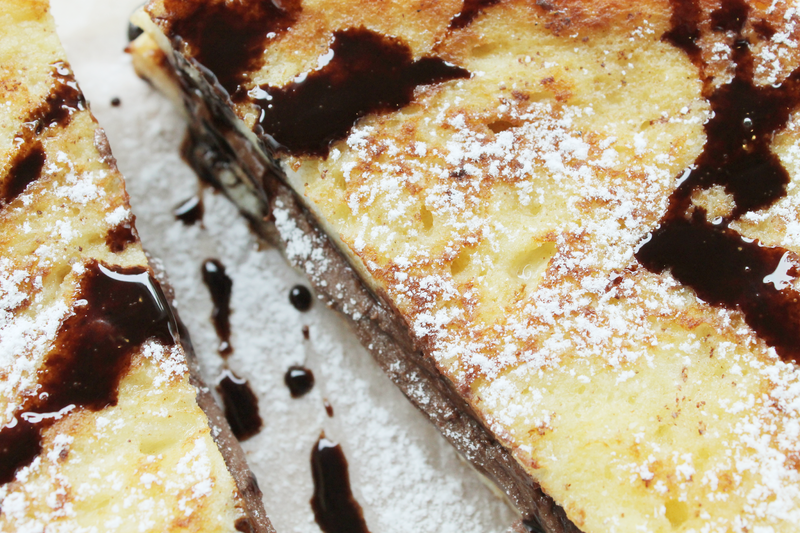 Cut sandwiches in half and dust with Confectioner's sugar before serving. 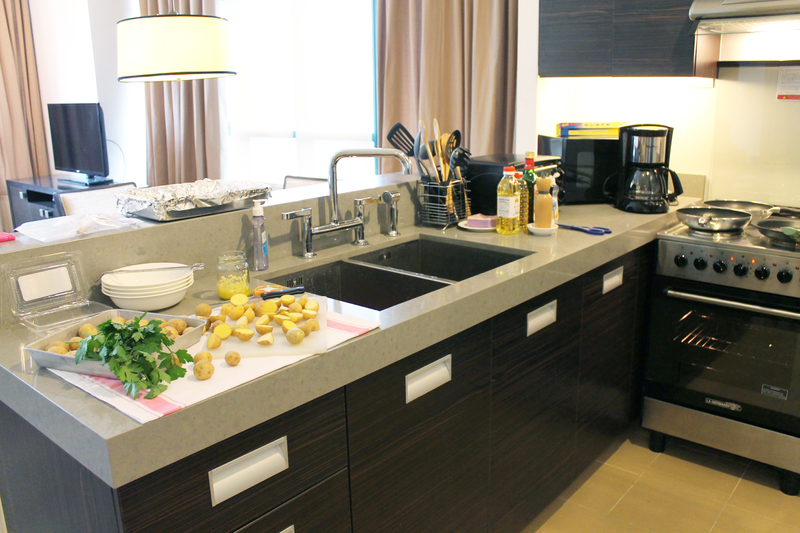 Just a couple of months back, we had the opportunity to experience the best of Filipino hospitality at Aruga by Rockwell's fully serviced apartments. 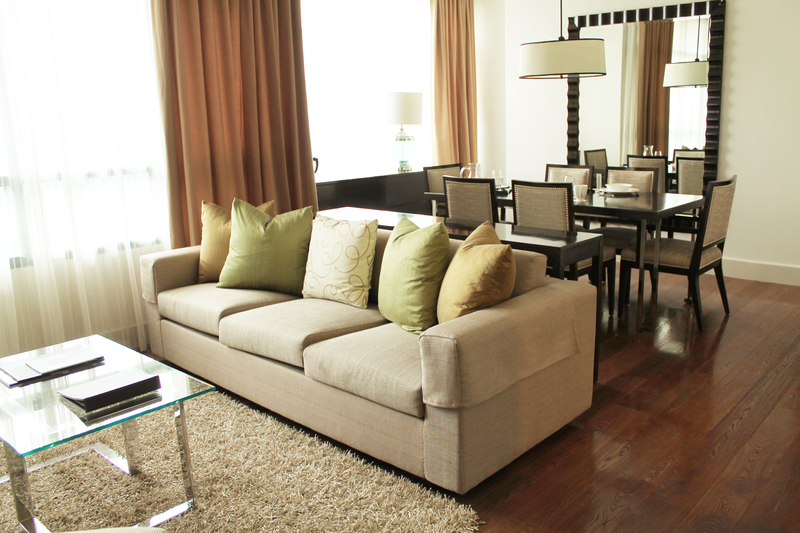 Located within the exclusive Rockwell Center in Makati City, each studio apartment and one-bedroom & two-bedroom suites are designed to make every traveler feel like they are home away from home. We thoroughly enjoyed our stay, and with the warm, personal service of the Aruga team making a lasting impression on us, we couldn't wait to be back for more. 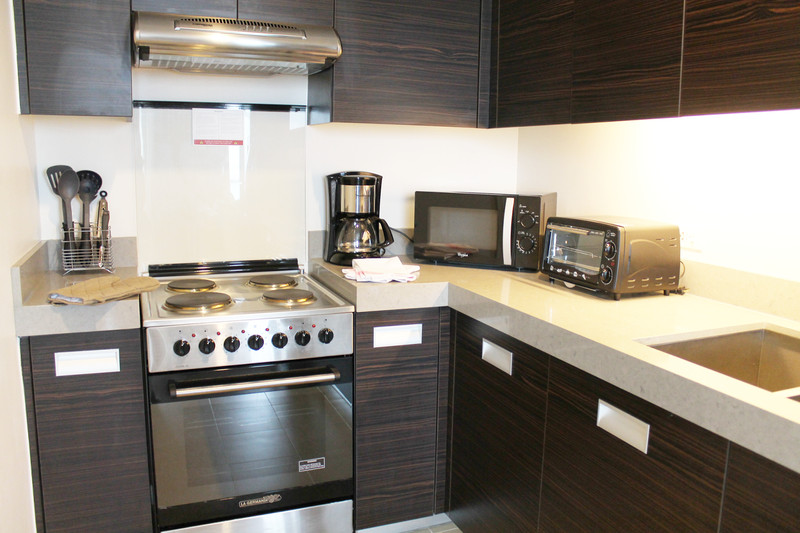 Aside from the comfortable beds, one of the parts we liked most about our suite was the fully equipped kitchen complete with an electric stove, microwave, toaster oven, and coffeemaker, among other amenities. In-house guests have the option to prepare their own meals or you can even plan a cooking party with a small group of friends or family. We didn't get to use the kitchen much during our first visit, so we were excited to be back, and this time we were prepared and ready to cook! A supermarket is conveniently accessible at the nearby Power Plant Mall so shopping for ingredients was a cinch. She Said: Our Kitchen Stories feature recipes that we prepare and cook at home. I was very excited to cook in Aruga's fully equipped kitchen! 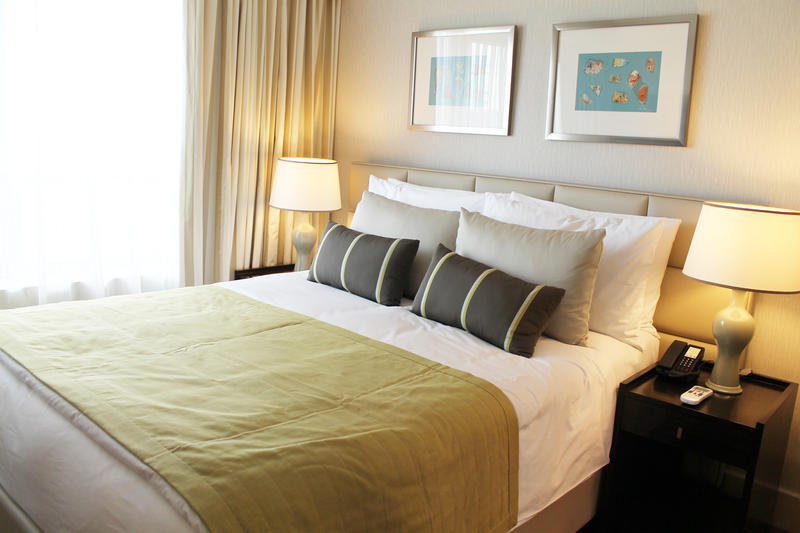 Housekeeping services are available round the clock to assist you with every need. They can even do a quick run to the grocery for you if you forget something. This flavorful chicken recipe is marinated in lots of garlic and olive oil. Serve this family style on a big platter with roasted potatoes and some asparagus for your greens. It's the perfect dish to make for your loved ones this Valentine weekend. In a sauce pan, melt 1/2 cup salted butter. Add 1 tablespoon minced garlic and cook until tender. Remove from heat and stir in 1 tablespoon finely chopped flat leaf parsley. 1. Cut chicken breast in half so you have about twelve smaller, thinner chicken cutlets. Salt and pepper on both sides. 2. In a large baking dish or bowl, whisk together 3 tablespoons minced garlic, about 1/4 cup olive oil, and white wine vinegar. Add the chicken, turning several times to coat. Let marinate at room temperature for up to 30 minutes. 4. 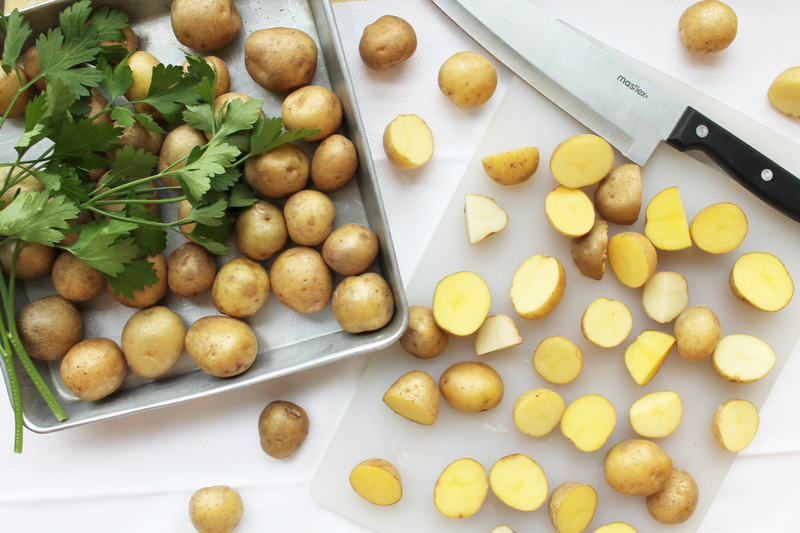 Cut potatoes in half or quarters and place in a baking sheet. Sprinkle generously with salt and pepper, then drizzle some olive oil and toss until potatoes are well coated. Spread out potatoes into one layer. Roast for 30 minutes or until brown and crisp. 5. While potatoes are in the oven, preheat a grill pan to medium heat and brush with some oil. Lift chicken from the marinade and grill until browned and cooked through, 2-3 minutes per side. Set aside cooked chicken pieces covered in foil to keep warm. 6. In a non-stick skillet, heat 1 tablespoon olive oil. Add asparagus and cook, stirring often, until crisp tender, about 3-4 minutes. Season with salt and pepper to taste. 7. 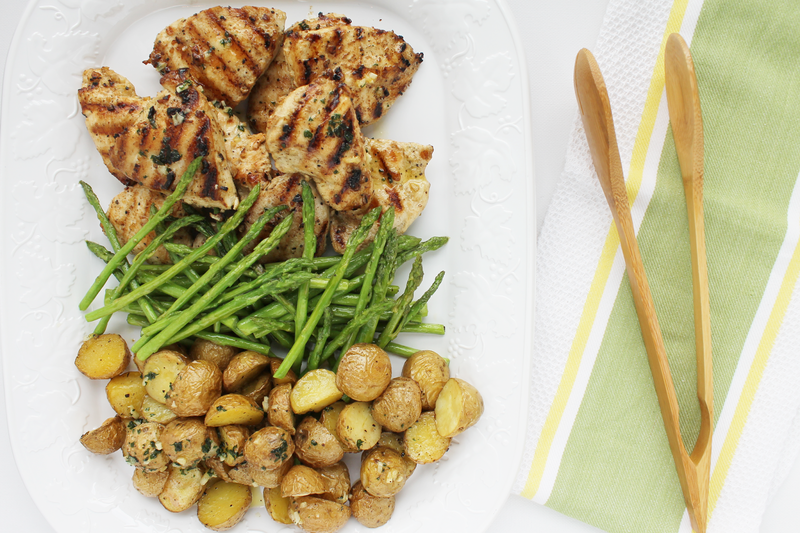 Arrange chicken, asparagus and roasted potatoes in a large serving platter and serve immediately with warm *Garlic Butter Sauce. Treat your loved ones for a Valentine staycation this weekend at Aruga by Rockwell! For bookings and inquiries, call 818-0000, or visit www.arugabyrockwell.com. Valentine's Day is coming up! I think this entire holiday is just a big excuse to eat lots of chocolate and sweets in the name of love, but I'm not complaining. : ) My mom is my valentine, and though we don't have any major plans for the holiday, I still think it'd be fun to dress for the occasion. I included tons of pink and red in this inspiration board, which are colors I don't own a lot of, but I love. Hopefully mom and I end up doing something fun together!